Home / Posts tagged "blankee angels"
Members of the National Council of Jewish Women Sarasota-Manatee recently gave away blankets they crafted for children whose families are part of Manatee Community Action Agency’s Home Instruction for Parents of Preschool Youngsters program. HIPPY, a home visiting program, focuses on school readiness utilizing a curriculum that is taught to parents, who in turn teach their children vital skills that will be the basis for future learning. The program sets the stage for parents to be continuously involved in their children’s education, and creates a foundation for long-term academic success. 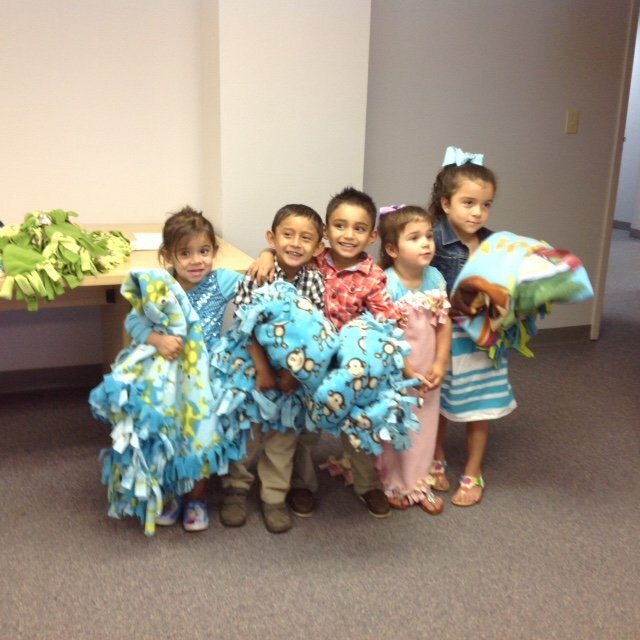 Delighted children with blankets made by NCJW members at the Manatee Community Action Agency in Bradenton!